o Graduate within five years. 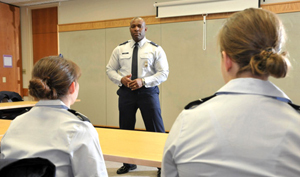 o Enter Guard service or accept a commission with the armed services within six months of graduation from college. o Meet program physical fitness requirements. "The opportunity to serve your state and your country in this capacity is truly a privilege and an honor," reflects Representative King. "I would encourage any student eligible for this scholarship to apply and take full advantage of the opportunities made available for those who serve." If you are a resident of Parker or Wise counties and are interested in this scholarship, please send a cover letter, resume and any letters of recommendation in a packet via mail or email to Ashley Westenhover to be received no later than Thursday, the 10th of July 2013. Email a PDF attachment to: ashley.westenhover@house.state.tx.us.